Work Coordinate System (WCS) is the active coordinate system in use by Mastercam at any given time. The WCS tells the software how your part is positioned or oriented in the machine. The WCS contains the orientation of the XYZ axis plus the location of the zero point (the origin). Note: Changing the WCS doesn’t create a rotary move at the beginning of the toolpath. Gview (geometric view) is the perspective from which you are looking at the part in the graphics window oriented relative to the WCS. 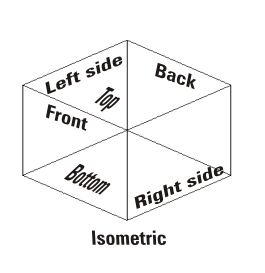 It is comprised of a 2D plane with an origin and specific orientation. Cplane is the plane in which your geometry is created. The Cplane is independent of the Gview. 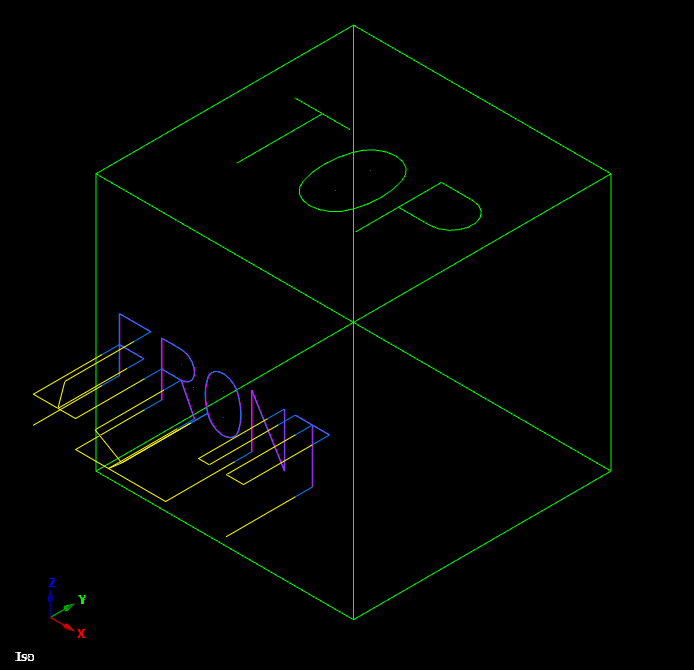 For example you can look at your part in an Isometric View while drawing in the Front Cplane. 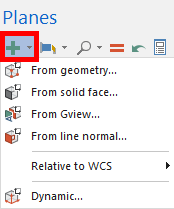 Tplane is the plane that is normal to your tool axis. Tplanes are used only when creating toolpaths. They determine the tool orientation. In most cases, your Tplane will be the same as your Cplane (most common exception would be mill/turn operations). A typical use of Tplane would be to create a rotary motion code when you post your toolpath so that the tool axis or fixture will move to properly position the part. Use these commands to create new views from part entities or by manipulating other views. Mastercam maintains a catalog of views that have been saved in the current part. You can see these views by selecting Planes Manager. 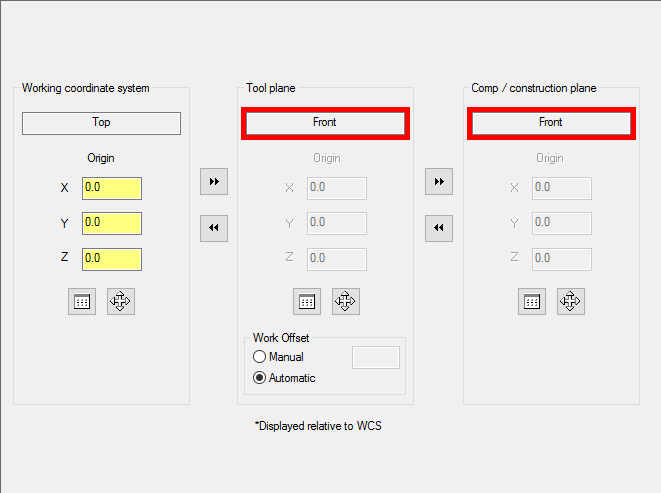 The Work Coordinate System (WCS) would remain at Top in the toolpath Planes (WCS) parameters. The Tool plane (Tplane) and Construction plane (Cplane) would be set to Front. This will create an A axis move in the posted NC code.